Frank is a lover of classic rock, sci-fi, and superheroes. As a co-founder of Thought Bubble Audio, he is passionate about podcasting and subscribes to over 100 shows. He lives with his wife Marissa outside Boston, but he's still a New Yorker at heart. Frank Ramblings has been a guest on 1 episode. This week, we're checking in from hiatus with a very special guest - the good and great Frank Ramblings from Beer With Geeks, Supergirl TV Talk, and more! We're here to bring you some quality field reporting on the summer reality TV landscape, a place that many of us love and many more of us fear. First up, Frank makes Kelsey watch Bachelor In Paradise, which includes a giant stuffed puppy murder and a truly impressive bird impression. Then, we're on to Making It - better known as The Great British Craft Off - because who isn't here for a delightful Pawnee reunion that involves felt? 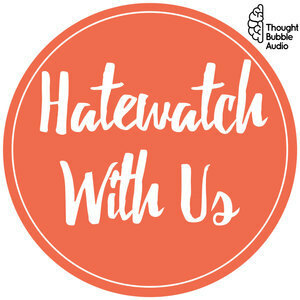 Thanks to Frank for coming by to hatewatch this week!